CGFC raises and grants funds to Commonwealth Games Canada to fulfil its Mission – Building a Better Commonwealth Through Sport. 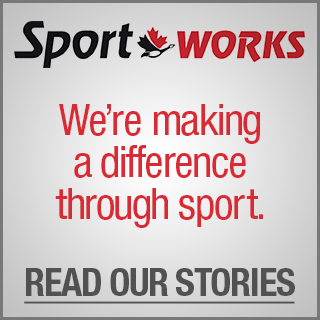 Incorporated in 1982, CGFC has granted over $20 million to Canada’s Commonwealth Games Teams and to CGC’s international sport development program, SportWORKS. CGFC is a registered charity led by volunteer Board of Directors comprised of business people from across Canada.The Commonwealth Games Foundation of Canada raises funds through corporate donors and events and through generous Canadians, like you. Dr. Andrew Pipe received his MD from Queen's University in 1974 and is currently Chief of the Division of Prevention and Rehabilitation at the University of Ottawa Heart Institute and a Professor in the Faculty of Medicine at the University of Ottawa. Dr. Pipe’s research interests include the assessment of new approaches to smoking cessation, the facilitation of exercise adoption, and novel initiatives to prevent cardiovascular disease. Previously the-President of the Canadian Academy of Sport and Exercise Medicine and the Founding Chair of the Canadian Centre for Ethics in Sport Dr. Pipe continues to serve as the Team Physician to Canada’s National Men’s Basketball and Canadian Women’s National Soccer Teams. A member of the Canadian Olympic Hall of Fame (Builder) and the recipient of the International Olympic Committee’s Award for “Sport, Health and Well-Being” Dr. 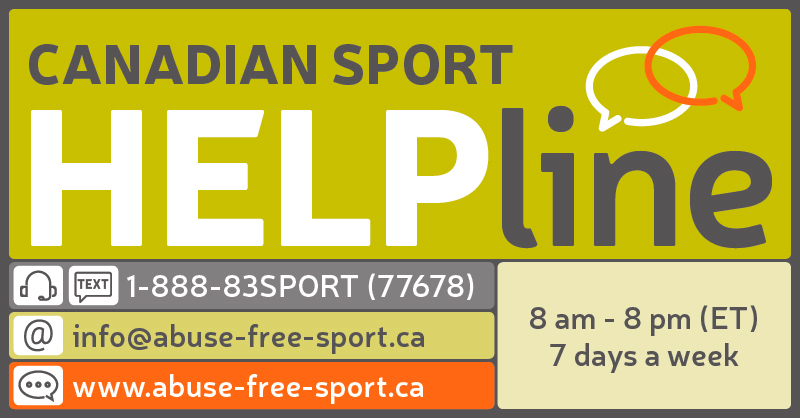 Pipe is also a member of the Board of ParticipACTION and the Heart and Stroke Foundation of Ontario. Dr. Pipe has received honourary degrees from Queen's University (LLD), Brock University (DSc) and the University of Guelph (DSc). Born in Nottingham, England, Dr. Pipe currently resides in Ottawa and in 2002 was named to the Order of Canada. Bruce Robertson has been actively involved with CGC for over 30 years as a Member-at-Large, Treasurer, Vice President, and as President of the Commonwealth Games Foundation of Canada. Presently, he is Vice President of the Commonwealth Games Federation (CGF) and Ex Officio Member of the CGC Board of Directors. He is also the Chair of both the CGF Marketing and Coordination Committees. Bruce is known professionally for his excellent project management skills as a systems consultant throughout North America. His earlier professional experience included postings in Dusseldorf, Germany and Toronto with a major international consulting firm. As a competitive swimmer, Bruce won 16 medals for Canada in international competitions. At the 1974 Commonwealth Games, he was the most decorated Canadian athlete, winning a total of six medals. At the 1973 World Aquatic Championships, he won the gold medal in the 100m butterfly and a relay bronze medal. At the 1972 Olympic Games, he won one silver and one bronze medal. In recognition of his athletic accomplishments, Bruce was named Canada’s Male Athlete of the Year in 1973 and was awarded the Order of Canada a year later. In 1977, he was inducted into Canada’s Sports Hall of Fame. He is also a member of the Canadian Aquatic Hall of Fame, the British Columbia Sports Hall of Fame, and the Canadian Olympic Hall of Fame. Bruce is a resident of Manotick, Ontario. Sean brings over 30 years of global business experience and brand building success to the organizations he is involved with. Currently, Sean is the COO for Busbud Inc., an online travel service for finding and buying intercity bus tickets around the world. Prior to this, Sean spent 14 years at Expedia, Inc., including over 10 years as Managing Director of Expedia Canada, and 4 years also as leader of Expedia Latin America and Australia/New Zealand business units. During his time at Expedia, Sean lead the growth of Expedia.ca from its first days of operations to scaling to well over $2 billion per year in travel bookings by Canadian customers. Prior to joining Expedia, Sean held several executive positions including Vice President, Business Development for Molson Breweries. Sean began his career at Procter & Gamble in brand management. Sean holds an Honours Bachelor degree from the Ivey Business School at the Western University. He is also sits on the Board of Directors for Food For The Poor Canada, is a past American Marketing Association of Toronto board member, and served on the Marketing Hall of Legends Canada executive for many years from its inception. Sean lives in Toronto with his wife and has 3 adult children. Pradeep Sood is a successful business executive who is based in Markham, Ontario. He has devoted his time and energies to his family, building businesses and supporting the community. He is co-owner and Director of Highbury Canco Corporation, a food processing company that purchased the Heinz facility in Leamington, Ontario. This acquisition helped save more than 250 jobs. Pradeep is also the founder and owner of XactScribe Inc., a Toronto based Transcription Company; and OutSource Process Inc., a company engaged in the provisioning and delivery of off shore Business and Knowledge based IT enabled processes. As CEO of Starling Corporation, he leads a management consulting company that facilitates SME’s in the Canada-India business corridor. Pradeep has the proud distinction of being the only person who has been Chairman of the Ontario Chamber of Commerce, President of the Indo-Canada Chamber of Commerce, Director of the Toronto Board of Trade and Director of The Canadian Chamber of Commerce. As a passionate member of the charitable world, Pradeep has helped raise funds for the Royal Ontario Museum, Bridgepoint Health, Textile Museum of Canada, Harbour front Centre and Markham Stouffville Hospital (to name a few). He has also been a Director of Prostate Cancer Canada and a member of the Civic Action Steering Committee. He currently sits on the Board of Skin Cancer Canada, Markham Stouffville Hospital Foundation, The Commonwealth Games Foundation of Canada and George Brown Colllege. Pradeep has a Bachelor of Arts degree ( Hons. Economics), holds a Chartered Accountant designation from the Institute of Chartered Accountants of India and is a member of the Institute of Corporate Directors, Rotman School of Management, Toronto. A senior executive with communications, operations, marketing, government relations and human resources experience, Steve also possesses a proven personal commitment to the charitable sector. Most recently Steve served as President & CEO of Prostate Cancer Canada. Prior to joining PCC, Steve served as Vice President, Marketing and Communications for Promotivate LP, one of the most successful promotions/marketing companies in North America. With Siemens Canada for 11 years, he was Senior Vice President, growing the Siemens brand in Canada while leading the Communications, Government Relations, H.R. and Strategic Planning groups. In addition to recently completing a two year term as Chairman of the Ontario Chamber of Commerce, Steve has served on the boards of several non-profit organizations, including the Jays Care Foundation, the Argos Foundation, Big Brothers of York Region, the Easter Seal Society and East Metro Youth Services. Abbas Khan is a visionary leader. He combines a consistent focus on continuous improvement with strong communication and interpersonal skills to drive organizational change, motivate and inspire staff to meet and exceed goals while providing recognition for their contributions. 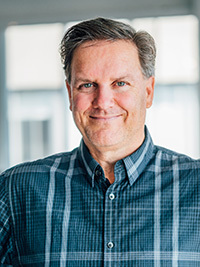 He was a member of the executive leadership team at Siemens Canada from 1995-1999 overseeing all financial, controlling, and operational elements within the Energy and Automation division, and Electromechanical Components division. In 2000, Abbas joined Osram Sylvania Ltd. to lead logistics and distribution initiatives and served as Asset Management champion. In 2002, he was promoted to lead national service organization with a clear mandate for business restructuring and financial improvement. In 2005, Abbas transitioned to lead national sales and marketing activities for retail business. In 2007, Abbas accepted the position of President & CEO, Osram Sylvania Ltd., responsible for all sales, marketing, and distribution activities across Canada. In 2011, Abbas joined Carrier Canada division of United Technologies Corporation, a leading manufacturer of Heating and Cooling products and solutions, as President & CEO of their Canadian operation with responsibilities for all sales, marketing, customer service, and distribution activities. In 2013, Abbas joined Lafarge Canada Inc. a global leader in the manufacturing of Cement and Construction Materials as head of Marketing for Eastern Canada. His primary responsibility was to execute a differentiation strategy, transforming the organization to a solutions provider, and increasing commercial performance with added value initiatives. Lorraine is a strategic thinker with excellent people skills and an enthusiastic approach to challenges who has played a leadership role in the sport community for many years. Her passion for sport goes back decades to when she saw the incredibly powerful role athletes play in inspiring younger generations to stay active and healthy while making a contribution to society. She began her sport career with the Canadian Intramural Recreation Association 25 years ago before moving to the Canadian Olympic Committee in 1989. During her tenure as the COC’s Media Relations Manager, she held several leadership positions with the mission staff at numerous Olympic Games, Pan American Games, and World Championships. In 2002 she was appointed Chief Operating Officer for the Coaching Association of Canada (CAC), a position she held for four years -- playing a key role in establishing sponsorship programs and strengthening the organization’s relationships with the provinces/territories and federal government. Following the CAC, she went on to head the Canadian Cycling Association where she restructured the organization and instilled financial stability. In 2009, she was hired as Director General of CanoeKayak Canada where she was instrumental in creating the teams and environment which led to CanoeKayak’s three-medal performance at the 2012 Olympic Game. In total, she has participated in 9 Olympic Games, both summer and winter. Lorraine also has a strong volunteer commitment having sat on the boards and committees of many organizations, including the Ottawa Sports Hall of Fame, Canadian Cancer Society (Ottawa-Carleton), Run for the Cure, Big Sisters of Ottawa, and Ottawa-Carleton Epilepsy. She was also the co-chair of the 2004 Ontario Summer Games held in Ottawa and was named twice to the Canadian Association for the Advancement of Women in Sport and Physical Activity’s (CAAWS) Most Influential Women List in 2015 and 2014. 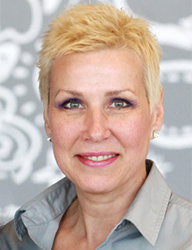 Lorraine became the Chief Executive Officer of the CAC in December 2013.